Draft: 2011, Houston Astros, 5th rd. Nicholas Paul Tropeano (Troh-pee-AH-noh)...On Twitter: @PaPaTropeano.. Attended West Islip HS (NY) and Stony Brook University (NY)...Led West Islip to a Suffolk Class AA championship in 2008 after going 8-1 with a 1.50 ERA...Named America East Conference Pitcher of the Year at Stony Brook in 2011 during junior season...Ranked fifth in nation in strikeouts (119) and seventh in victories (12); both set school records...Third Stony Brook alumnus to pitch in Major Leagues (also, Joe Nathan and Tom Koehler)...Was Angels #3 prospect according to Baseball America in 2015...Entered 2014 season ranked by Baseball America as Astros #18 prospect...Was Astros #9 prospect according to Baseball America entering 2013 with the system's best changeup...Tabbed by the publication as having the best changeup in South Atlantic League entering 2012...Pitched in Arizona Fall League following the 2012 season...Went 0-0 with a 3.00 ERA (15 IP - 5 ER) and 18 strikeouts in 11 games for Mesa... Signed by Astros scouts John Kosciak and Ed Fastaia. Fraser - 5 HR, Aug. 16, 1988 at NYY)…Both Fraser and Tropeano were Angels winning pitcher in those games. Spent entire season on Angels disabled list recovering from Tommy John surgery performed in August 2016. Began season on roster at Triple-A Salt Lake...Did not appear with Bees before being recalled by Angels April 7 following injury to Andrew Heaney...Finished tIed for second in A.L. with four pickoffS...Held opposing hitt ers to a .135 (7/52) average with runners in scoring positi on...Earned wins in consecuti ve starts for first time in career May 18 vs. Dodgers and May 23 at Texas...Improved career record vs. A.L. West opponents to 6-2 with a 3.28 ERA (68.2 IP - 25 ER)...Against all other opponents, is 1-5 with a 4.42 ERA (59 IP - 29 ER)...20 of final 24 runs allowed scored via home runs (yielded just two home runs in fi rst 75.1 IP of career)...Missed 23 games on disabled list with right shoulder tightness from June 4 (retro to May 30) unti l June 24... Missed final 69 games of season on disabled list with right elbow UCL injury (underwent Tommy John surgery in August). Appeared in eight games (seven starts) across four separate stints with Angels and pitched to a 3-2 record with a 3.82 ERA (37.2 IP - 16 ER). Made Angels debut April 23 vs. Oakland and earned the win after pitching six shutout frames and allowing five hits and one walk while striking out five… Became first player to throw at least six scoreless innings in their Angels debut since Jered Weaver (May 27, 2006). Set career high with 11 strikeouts across 6 2/3 innings in final start of regular season on Sept. 29 vs. Oakland... The 11 strikeouts tied for most by any Angels pitcher in a game in 2015 (Garrett Richards - 11 SO twice). Yielded 11 of 16 earned runs on the season during the fifth inning... Pitched to a 1.38 ERA (32 2/3 IP - 5 ER) during all other innings. Pitched in 16 games (all starts) with Triple-A Salt Lake and went 3-6 with a 4.81 ERA (88 IP - 47 ER), while striking out 96 and walking 36. Was placed on Triple-A disabled list following May 26 start vs. Oklahoma City with rotator cuff tendinitis... Made two rehab starts with Rookie-level Arizona League Angels June 26 and July 1 before returning to Salt Lake on July 6. Entered 2015 ranked as Angels #3 prospect according to Baseball America. Pitched in four Sept. games with Houston after spending entire Minor League season with Triple-A Oklahoma City...Named to Pacific Coast League All-Star team...Led the PCL with a 3.03 ERA (124.2 IP - 42 ER), 0.99 WHIP and a .203 batting average against (90/446)...Pitched to a 9-5 record with 120 strikeouts in 23 games (20 starts) for the RedHawks...Became first pitcher in Oklahoma City franchise history to win ERA title...Made Major League debut on Sept. 10 at Seattle (W; 5 IP, 2 ER, 4 H, 2 BB, 5 SO) and became eighth Astros pitcher to earn a win in first career start...Followed George Springer as second player from Astros 2011 draft class to reach Major Leagues...Became third pitcher in Houston history to pitch at least five innings while striking out four-or-more batters and allowing two-or-fewer runs in each of first two career games, joining Carlos Hernandez (2001) and Tom Griffin (1964)...Made first start in home state of New York in Astros final game of regular season Sept. 28 at Citi Field...Named Oklahoma City's Pitcher of the Month in June and Aug....Went 4-0 with a 2.02 ERA (35.2 IP - 8 ER) and 34 strikeouts in five June starts...Posted a 3-1 record and 4.13 ERA (32.2 IP - 15 ER) and 33 strikeouts in six Aug. starts...Missed nearly one month of season on disabled list with tightness in right arm...Placed on DL July 6 (retro to July 4) and returned to action July 27...Acquired by Angels Nov. 5, 2014 along with catcher Carlos Perez in exchange for catcher Hank Conger. Led the Double A Texas League with 130 strikeouts...spent the entire year with Corpus Christi...posted a 3.67 ERA with 63 strikeouts over his final 10 games of the season (61.1 innings)...struck out 81 batters and walked just 21 over his final 82.2 innings of the season...entered the season ranked by Baseball America as the Astros No. 9 prospect with the system's best changeup. Split the season between Class A Lexington (15g) and Class A Advanced Lancaster (12g)...went 12-7 with a 3.02 ERA (53ER/158IP) and 166 strikeouts combined between the two levels...led all Astros minor leaguers in strikeouts, and all Astros full-season minor leaguers in ERA...his strikeout total ranked second among Class A pitchers and sixth in the minor leagues...was a 2012 South Atlantic League Midseason All-Star with Class A Lexington...was a South Atlantic League Midseason All-Star...named the SAL's Pitcher of the Week twice (April 16-23 and April 30-May 7)...tabbed by Baseball America as having the best changeup in the Astros system...promoted to Lancaster on July 1...at the time of his promotion, ranked among the SAL's leaders in innings pitched (1st), strikeouts (2nd) and ERA (T-5th)...named the TOPPS California League Player of the Month and the Lancaster Pitcher of the Month for August...during his time with Lancaster, ranked tied for first in the California League in strikeouts, fourth in innings pitched, sixth in ERA and tied for sixth in wins...pitched in the Arizona Fall League during the offseason, going 0-0 with a 3.00 ERA (5ER/15IP) and 18 punchouts in 11 games with the Mesa Solar Sox...entered the year ranked by Baseball America as the Astros No. 12 prospect with the system's best changeup. Began his pro career with Class A Short Season Tri-City...named Tri-City's Co-Pitcher of the Month for August...won his last three decisions and allowed just two earned runs (0.64 ERA) over his final six starts, fanning 42 over 28.0 innings. 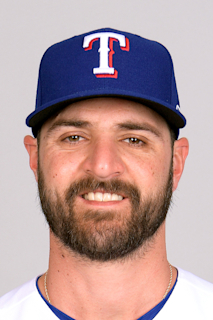 28 de marzo de 2019 Los Angeles Angels ponen a RHP Nick Tropeano on the 10-d&iacute;a lista de lesionados retroactivo al March 25, 2019. Right shoulder injury. 2 de noviembre de 2018 Los Angeles Angels activan a RHP Nick Tropeano de la 60-d&iacute;a lista de lesionados. 18 de septiembre de 2018 Los Angeles Angels transferido RHP Nick Tropeano de la 10-d&iacute;a lista de deshabilitado a la 60-d&iacute;a lista de deshabilitado. Right shoulder inflammation. 7 de agosto de 2018 Los Angeles Angels ponen a RHP Nick Tropeano on the 10-d&iacute;a lista de deshabilitado. Right shoulder inflammation. 21 de julio de 2018 Los Angeles Angels activan a RHP Nick Tropeano de la 10-d&iacute;a lista de deshabilitado. 7 de julio de 2018 Los Angeles Angels envian a RHP Nick Tropeano una asignaci&oacute;n de rehabilitaci&oacute;n a Inland Empire 66ers. 15 de junio de 2018 Los Angeles Angels ponen a RHP Nick Tropeano on the 10-d&iacute;a lista de deshabilitado retroactivo al June 12, 2018. Right shoulder inflammation. 12 de mayo de 2018 Los Angeles Angels activan a RHP Nick Tropeano de la 10-d&iacute;a lista de deshabilitado. 2 de mayo de 2018 Los Angeles Angels ponen a RHP Nick Tropeano on the 10-d&iacute;a lista de deshabilitado. Right shoulder inflammation. 12 de abril de 2018 Los Angeles Angels llamado RHP Nick Tropeano de Salt Lake Bees. 23 de marzo de 2018 Los Angeles Angels opcionado RHP Nick Tropeano para Salt Lake Bees. 6 de noviembre de 2017 Nick Tropeano estado en la lista cambian a por Los Angeles Angels. 1 de abril de 2017 Los Angeles Angels ponen a RHP Nick Tropeano en la 60-d&iacute;a lista de deshabilitado. Right elbow UCL injury. 7 de noviembre de 2016 Los Angeles Angels activan a RHP Nick Tropeano de la 60-d&iacute;a lista de deshabilitado. 12 de agosto de 2016 Los Angeles Angels transferido RHP Nick Tropeano de la 15-d&iacute;a lista de deshabilitado a la 60-d&iacute;a lista de deshabilitado. Right elbow UCL injury. 19 de julio de 2016 Los Angeles Angels ponen a RHP Nick Tropeano on the 15-d&iacute;a lista de deshabilitado. Right elbow UCL injury. 4 de julio de 2016 Los Angeles Angels llamado RHP Nick Tropeano de Salt Lake Bees. 24 de junio de 2016 Los Angeles Angels opcionado RHP Nick Tropeano para Salt Lake Bees. 24 de junio de 2016 Los Angeles Angels activan a RHP Nick Tropeano de la 15-d&iacute;a lista de deshabilitado. 23 de junio de 2016 Los Angeles Angels envian a RHP Nick Tropeano una asignaci&oacute;n de rehabilitaci&oacute;n a Inland Empire 66ers. 4 de junio de 2016 Nick Tropeano estado en la lista cambian a por Los Angeles Angels. 7 de abril de 2016 Los Angeles Angels llamado RHP Nick Tropeano de Salt Lake Bees. 28 de marzo de 2016 Los Angeles Angels opcionado RHP Nick Tropeano para Salt Lake Bees. 1 de septiembre de 2015 Los Angeles Angels llamado Nick Tropeano de Salt Lake Bees. 22 de agosto de 2015 Los Angeles Angels opcionado RHP Nick Tropeano para Salt Lake Bees. 20 de agosto de 2015 Los Angeles Angels llamado Nick Tropeano de Salt Lake Bees. 25 de julio de 2015 Los Angeles Angels opcionado RHP Nick Tropeano para Salt Lake Bees. 24 de julio de 2015 Los Angeles Angels llamado Nick Tropeano de Salt Lake Bees. 6 de julio de 2015 Salt Lake Bees activan a RHP Nick Tropeano de la 7-d&iacute;a lista de deshabilitado. 26 de junio de 2015 Salt Lake Bees envian a RHP Nick Tropeano una asignaci&oacute;n de rehabilitaci&oacute;n a AZL Angels. 24 de abril de 2015 Los Angeles Angels opcionado RHP Nick Tropeano para Salt Lake Bees. 22 de abril de 2015 Los Angeles Angels llamado Nick Tropeano de Salt Lake Bees. 31 de marzo de 2015 Los Angeles Angels opcionado RHP Nick Tropeano para Salt Lake Bees. 5 de noviembre de 2014 Houston Astros cambian a C Carlos Perez and RHP Nick Tropeano a Los Angeles Angels for C Hank Conger. 2 de septiembre de 2014 Houston Astros seleccionado el contrato de RHP Nick Tropeano de Oklahoma City RedHawks. 27 de julio de 2014 Oklahoma City RedHawks activan a RHP Nick Tropeano de la 7-d&iacute;a lista de deshabilitado. 7 de julio de 2014 Oklahoma City RedHawks ponen a RHP Nick Tropeano en la 7-d&iacute;a lista de deshabilitado retroactivo al July 4, 2014. 9 de junio de 2014 Oklahoma City RedHawks activan a RHP Nick Tropeano de la lista temporalmente inactiva. 3 de junio de 2014 Oklahoma City RedHawks ponen a RHP Nick Tropeano en la lista de inactivos temporalmente. 2 de abril de 2014 RHP Nick Tropeano asignado a Oklahoma City RedHawks de Corpus Christi Hooks. 14 de enero de 2014 Houston Astros invitado fuera del roster RHP Nicholas Tropeano para spring training. 7 de julio de 2013 Corpus Christi Hooks activan a RHP Nicholas Tropeano de la 7-d&iacute;a lista de deshabilitado. 22 de junio de 2013 Corpus Christi Hooks ponen a RHP Nicholas Tropeano en la 7-d&iacute;a lista de deshabilitado. 1 de abril de 2013 RHP Nicholas Tropeano asignado a Corpus Christi Hooks de Lancaster JetHawks. 4 de marzo de 2013 RHP Nicholas Tropeano asignado a Houston Astros. 7 de septiembre de 2012 RHP Nicholas Tropeano asignado a Mesa Solar Sox. 29 de junio de 2012 Nicholas Tropeano asignado a Lancaster JetHawks de Lexington Legends. 3 de abril de 2012 Nicholas Tropeano asignado a Lexington Legends de Tri-City ValleyCats. 15 de junio de 2011 Nicholas Tropeano asignado a Tri-City ValleyCats. 14 de junio de 2011 Houston Astros firmado RHP Nicholas Tropeano.